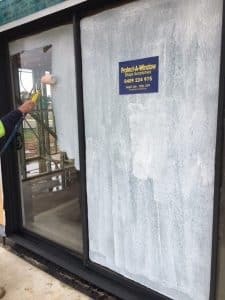 Scratch Protection form Protect A Window Sydney will save you time and money by professionally protecting windows and other surfaces during construction. We offer a unique, guaranteed service that provides a superior long lasting temporary scratchless protection to prevent scratching and other damage to many valuable surfaces. Don’t risk valuable surfaces like windows, bath tubs, kitchen counters etc becoming scratched by tools, sparks, and dirt. PAW55 dries to a durable tough plastic like membrane which is non-hazardous, water based, nil residue and biodegradable. 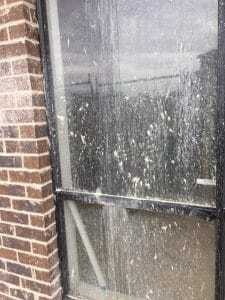 An economical paint on peel off way of preventing scratches to windows during construction. 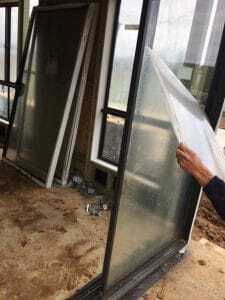 Protect the whole house for the price of replacing 1 panel of glass. Allows windows to be opened and shut. Will not fall off or bake on. PAW55 is the original window protection developed by Protect A Window in 1992, after extensive testing and refining. PAW55 is guaranteed to be completely removable up to 12 months after application when applied by a franchisee. Temporary protection for other surfaces available ie, tiles, bench tops Etc.